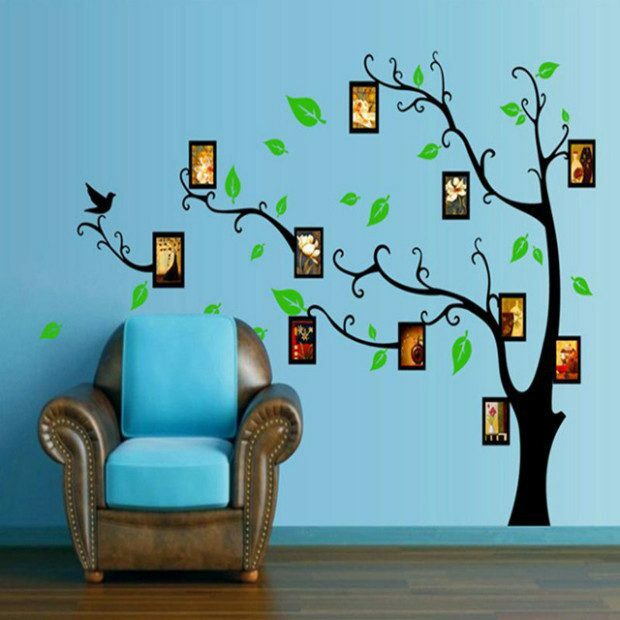 Large Tree Decal with Framed Portrait Decals Just $7.85! Ships FREE! You are here: Home / Great Deals / Large Tree Decal With Framed Portrait Decals Just $7.85! Ships FREE! Make your very own family tree! Order a pair of Large Tree Decal with Framed Portrait Decals Just $7.85! Ships FREE! A stately tree will grow into any room you choose! Pictures and birds perch off the sprawling branches, and leaves blow in the wind. Fill the frame decals with pictures of your friends and loved ones! So wonderful!